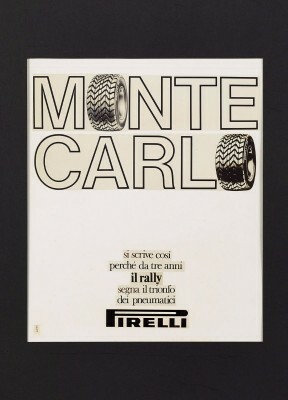 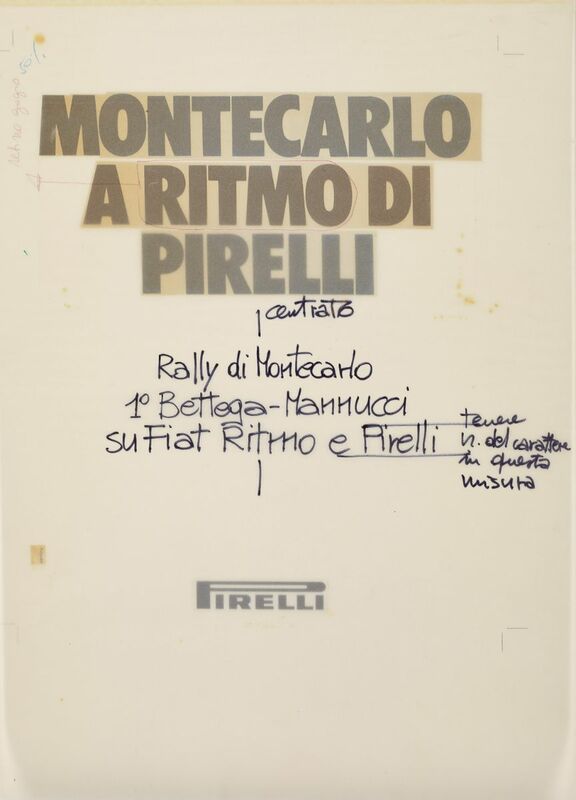 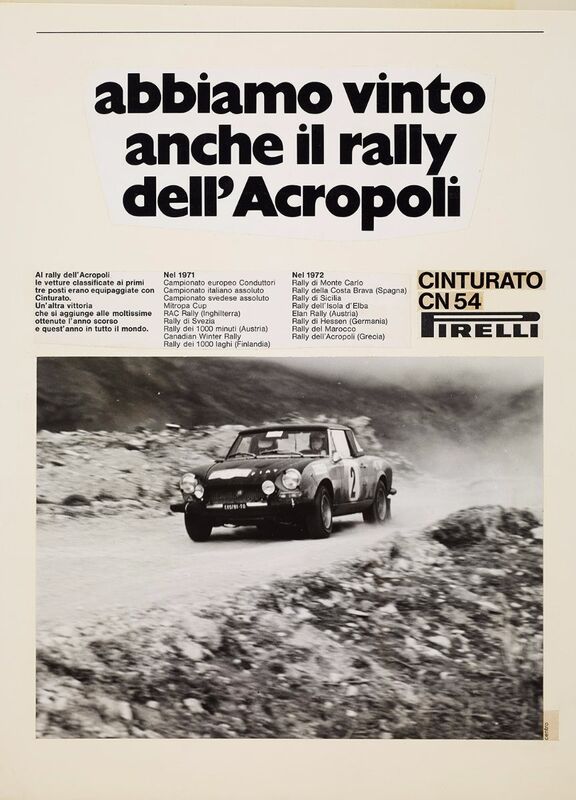 Paired with the racing car driver Mario Mannucci, the driver of the Lancia Stratos HF with Pirelli tyres Sandro Munari won the Monte Carlo Rally in 1975, too. 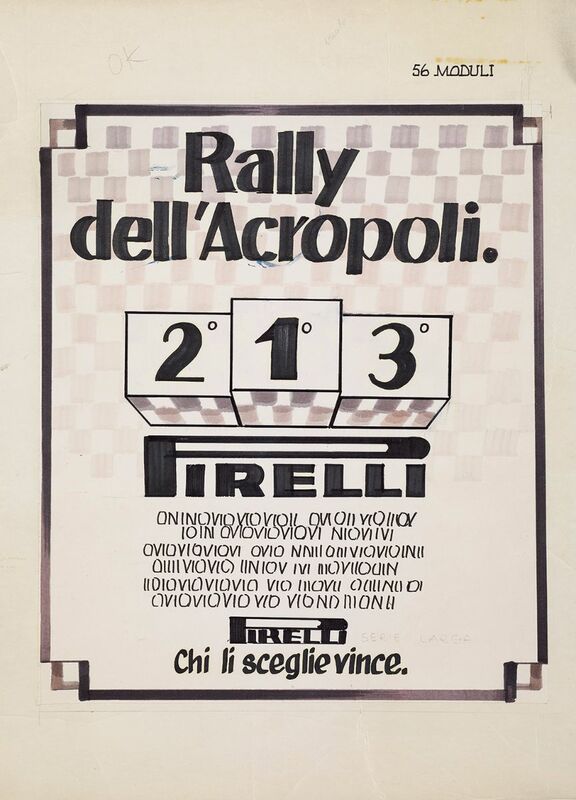 Taking second, third and fourth were the 124 Abarth-Pirellis driven by Hannu Mikkola, Markku Alen, and Fulvio Bacchelli, which was enough to be able to say: “We Hit the Jackpot at Monte Carlo”. Given that the success of the crews equipped with Pirelli rubber was repeated at Monte Carlo in 1976 and then again in 1977, there was no reason not to extend in time the message of the jackpot win to the most famous Casino in the world. 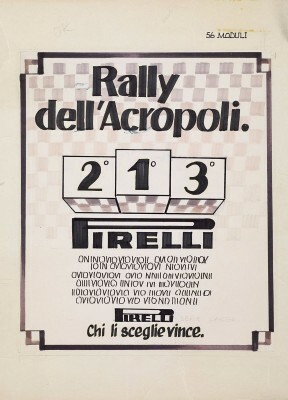 Waving a flag at the winner’s finish line was the “Pirelliman”, originally created by Alan Fletcher in 1974 for a very different purpose.